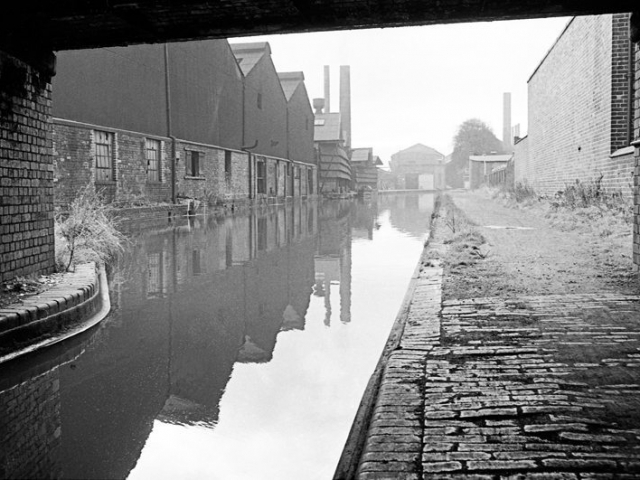 The introduction of the canals to the Black Country facilitated the rapid growth of local industry, who were able to transport goods all over the country along the waterways. 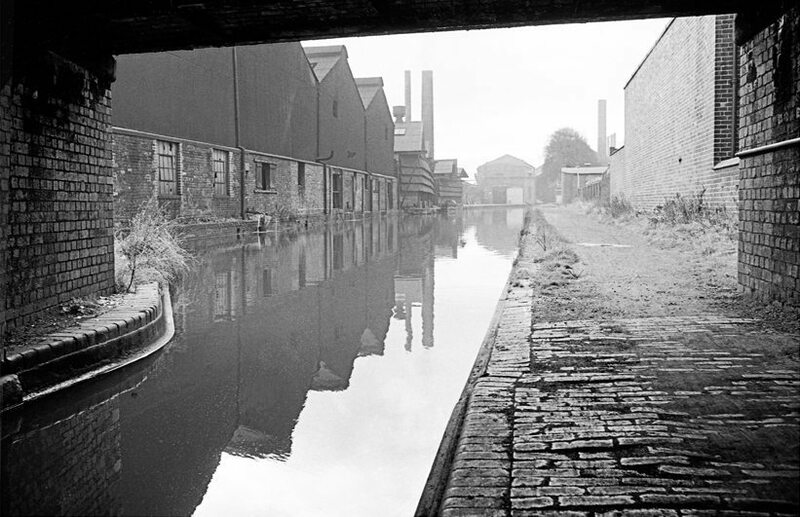 Titford canal once served the collieries on the Rowley Hills, and Pratt's Brickyard, as well as the factories and maltings in Langley. 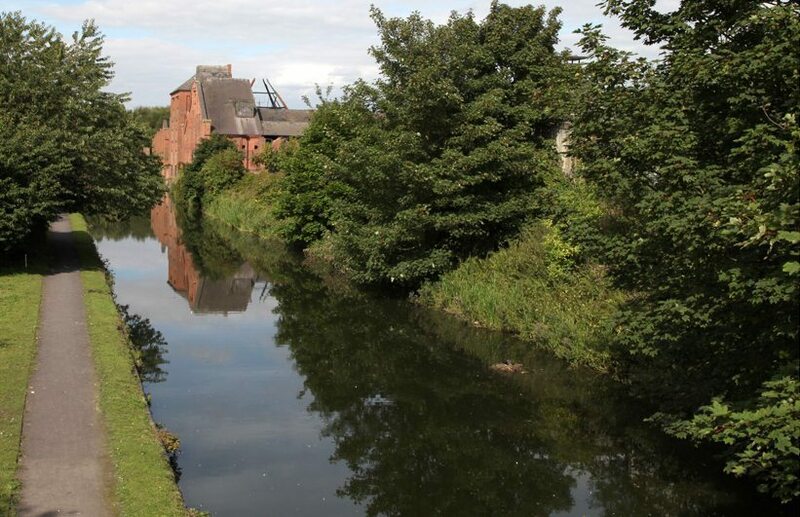 Initially constructed in 1836-7 to serve the local coal mines, the canal now runs from Titford Pools. 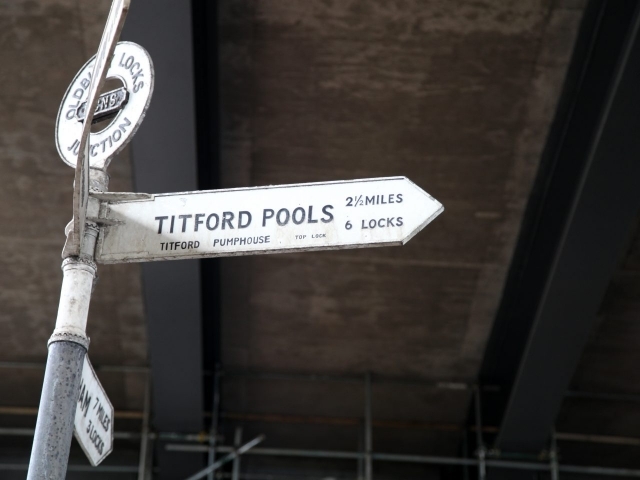 The pool itself was a reservoir made in 1773-4, collecting water running off the Rowley Hills, and is now partly under underneath an elevated section of the M5 motorway. 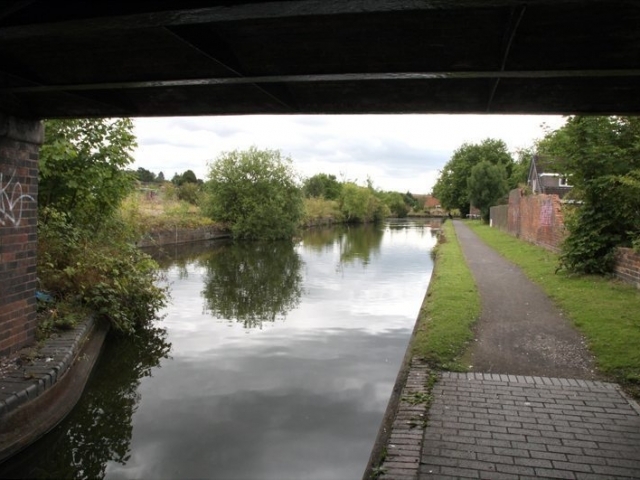 A narrow channel linked the Pools to the main Birmingham Canal Navigation, but soon thus feeder was developed to allow the passage of boats. 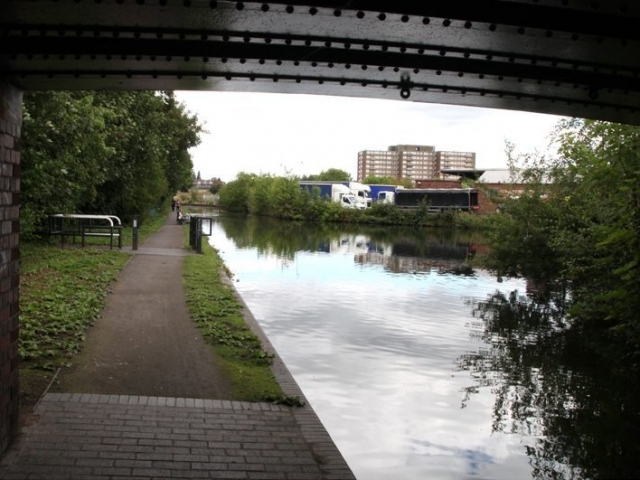 The canal was made to a maximum width of 30 feet and a depth of 5 feet, with six locks to navigate the incline. These are known as the Jim Crow locks. 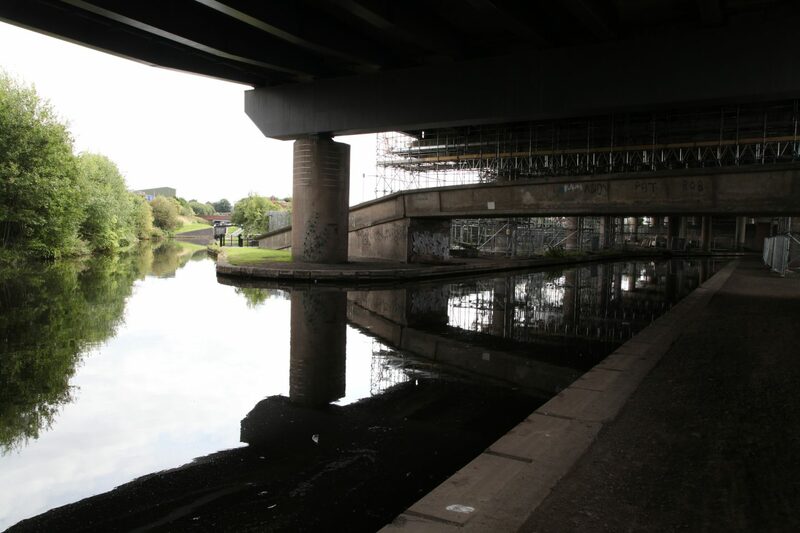 The entrance to Titford Canal on the left, now covered by the M5 motorway. 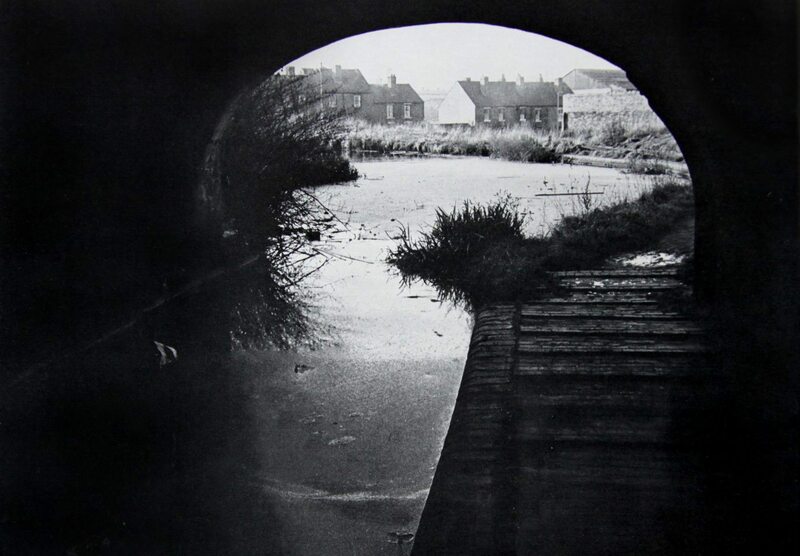 Titford Canal, looking towards Langley Maltings, by John Cleare, 1964. 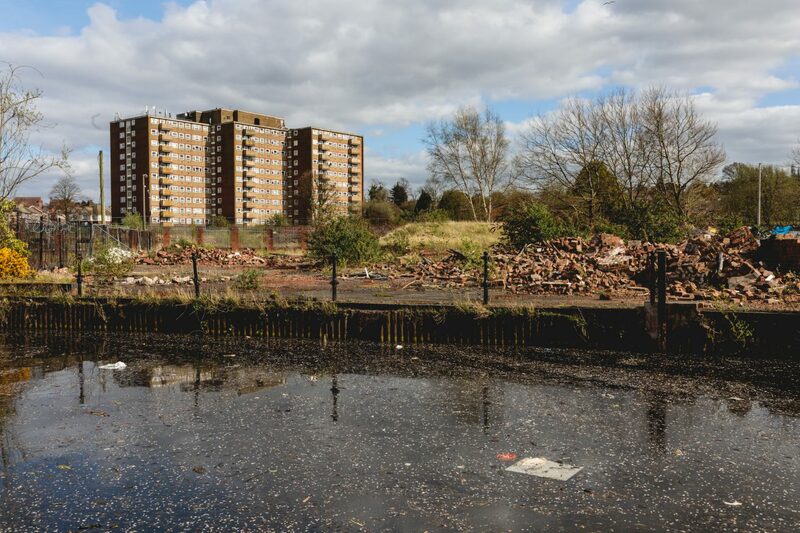 Titford Canal, looking towards Langley Maltings, 2017. 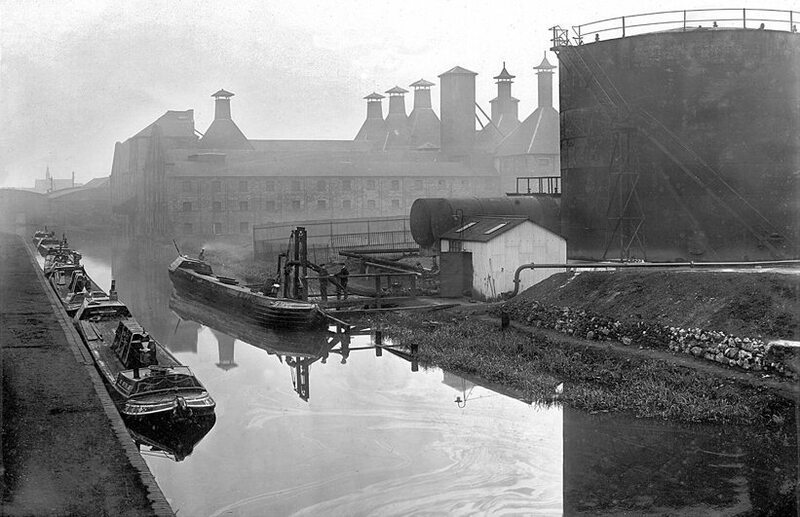 Langley Maltings, in the 1920s. 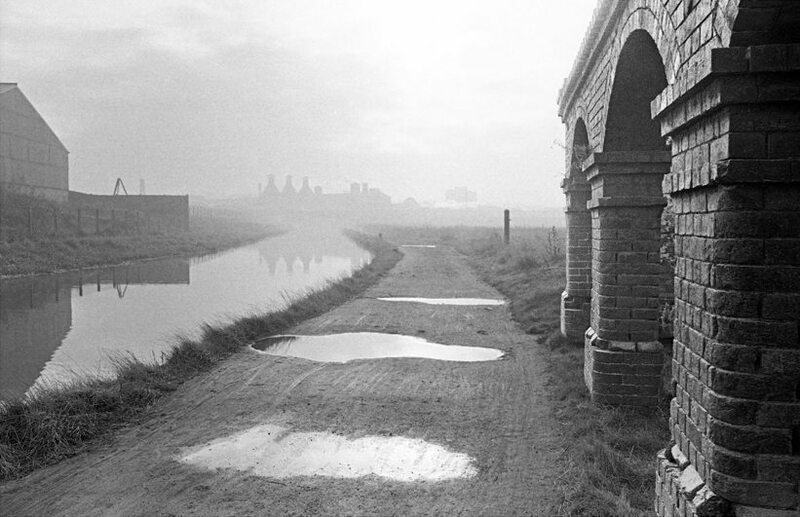 Langley Forge, from Uncle Ben’s Bridge, by M.W. 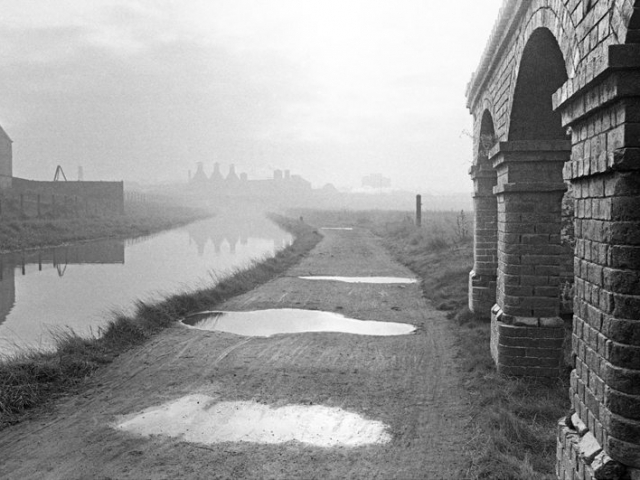 Wyatt of Borough Engineers, 1970. 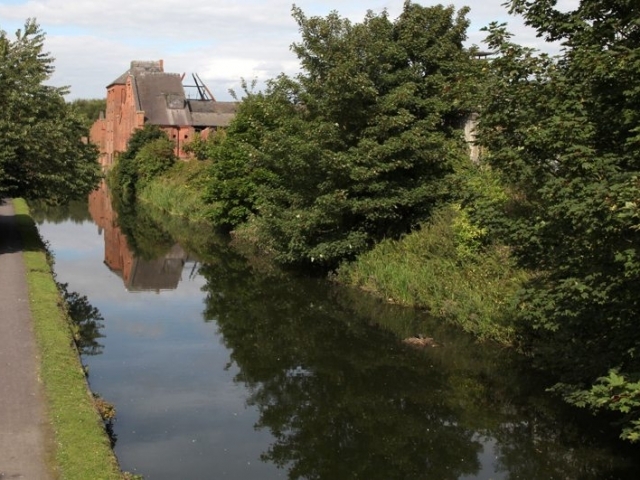 Site of Langley Forge, from Uncle Ben’s Bridge, 2017. 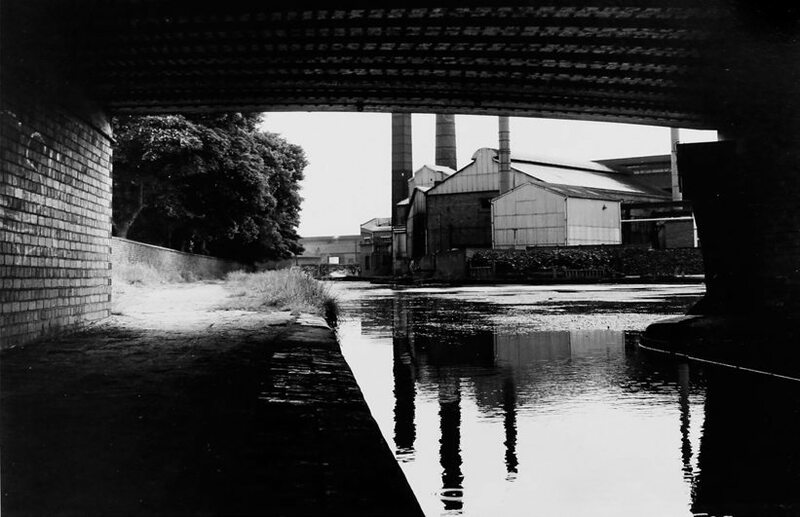 Titford Canal from Station Road, by John Cleare, 1964. 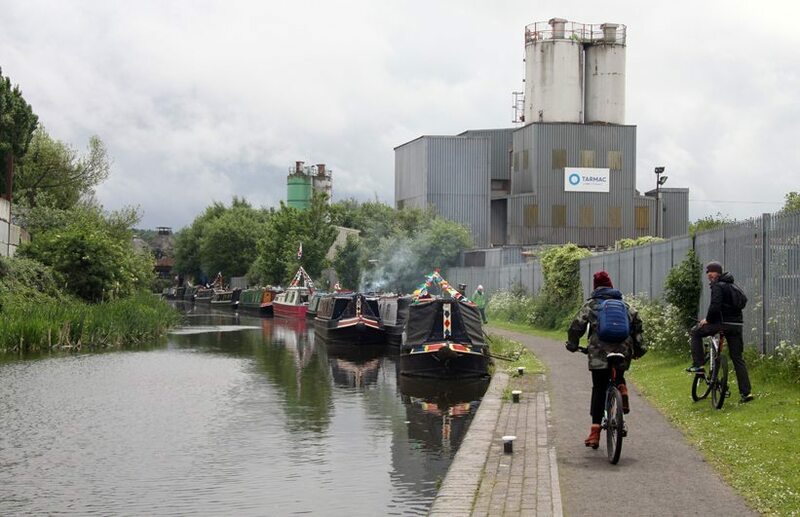 Titford Canal from Station Road, 2017. 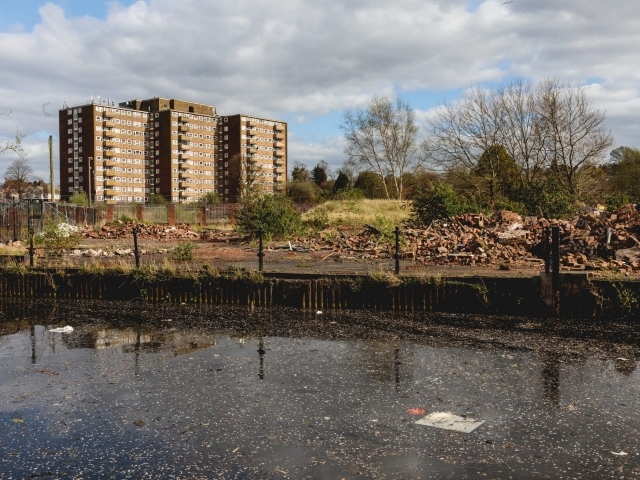 Brades Flats, opened in 1964. In the foreground the former site of Langley Forge. 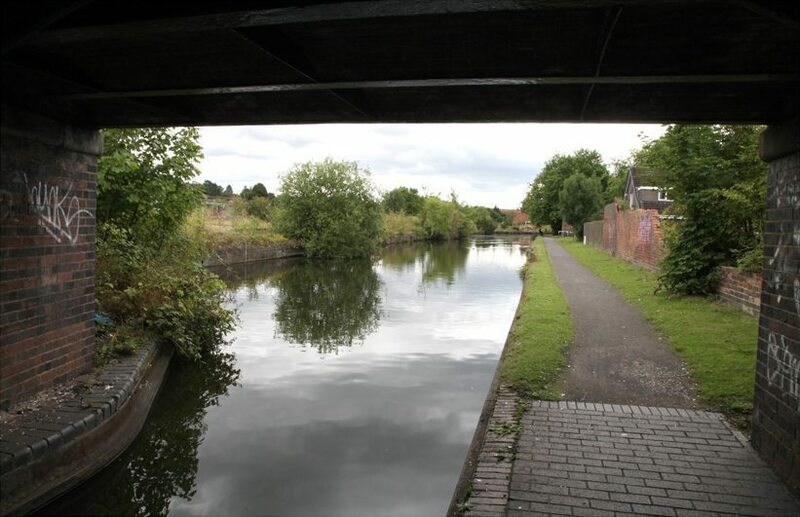 The canal is just under two miles in length. 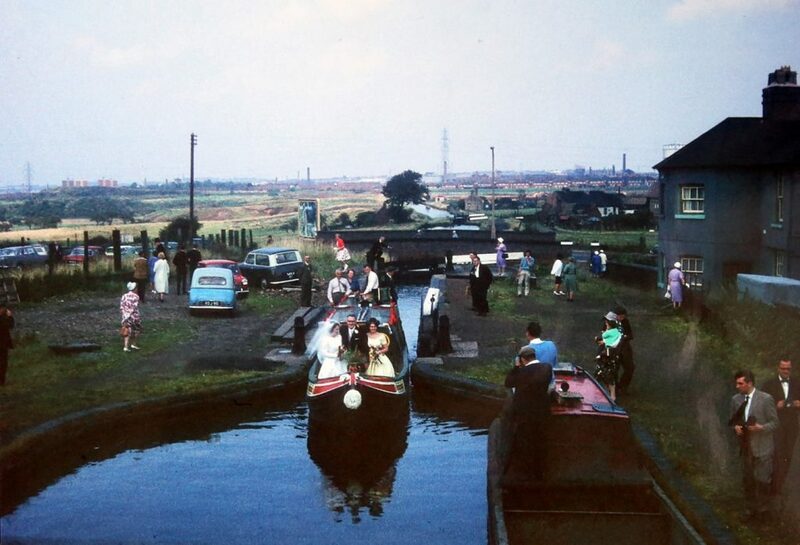 At 511 feet above sea level it was the highest navigable canal in the Midlands, and is only beaten to the title of the highest in England by the Rochdale Canal, which is 600 feet at its summit. 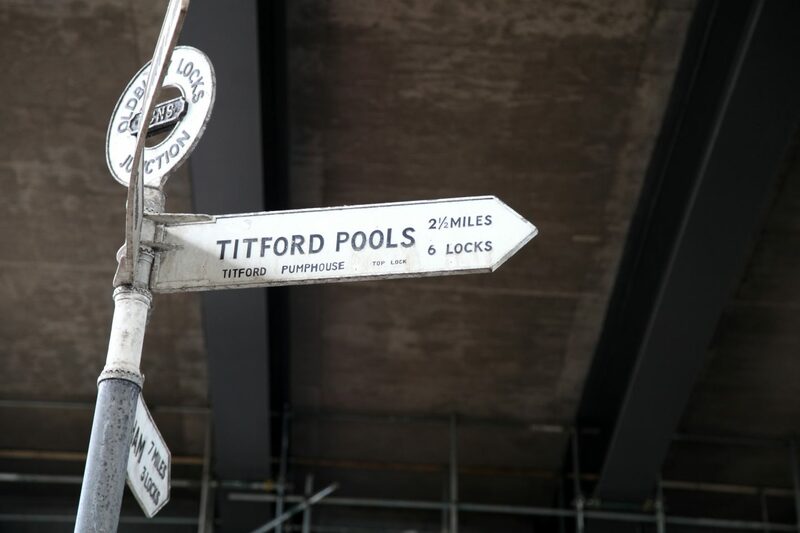 By the locks you will find Titford Pump House, which was used to pump the water back up (from the 473 feet level at Oldbury and the 511 feet Titford level). 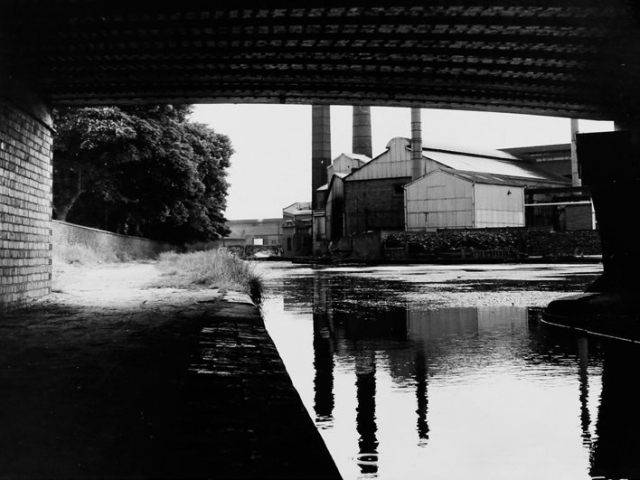 Boulton & Watt, in adjacent Smethwick, won the contract, installing a single-acting beam engine in the building. 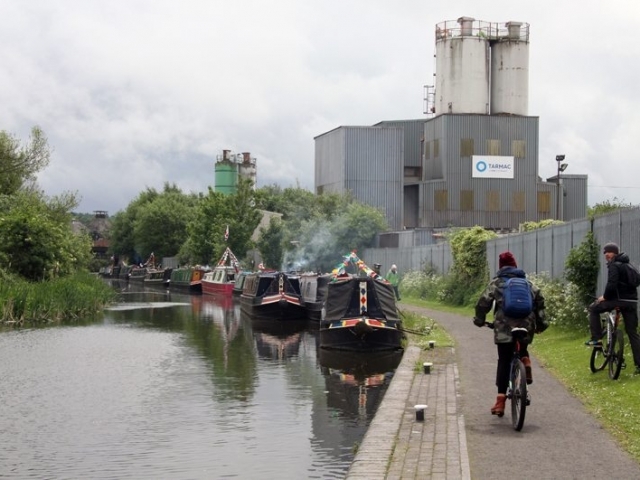 A single boiler was erected in an adjoining building, and later a second boiler. . 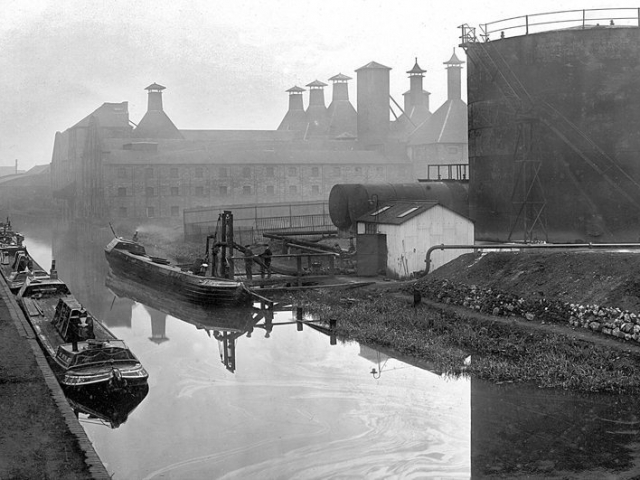 While the movement of coal was a prime motivator for the construction of the canal, it was not long before such as chemicals, oil and tar became far more important. 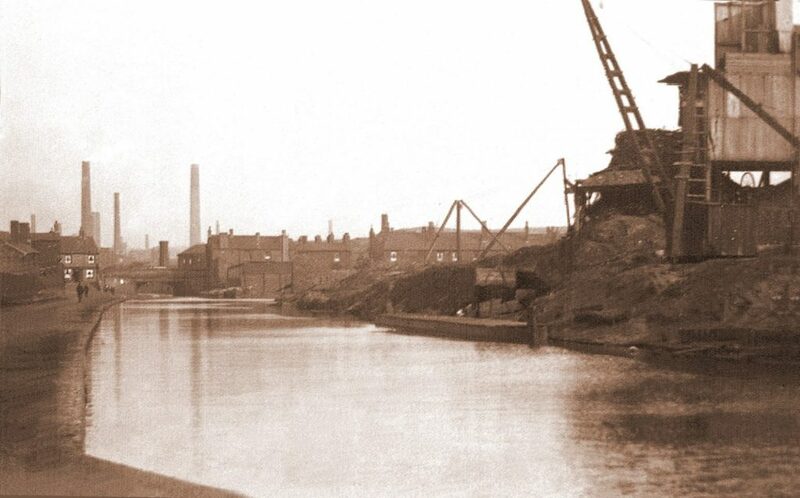 The use of the canal by firms such as Albright & Wilson, British Cyanides and Midland Tar Distillers generated significant revenue from tolls. 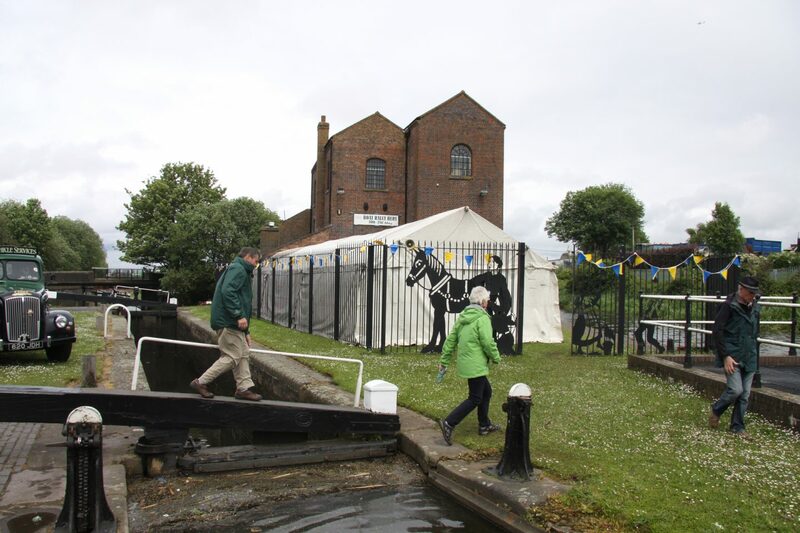 Restored in 2002, it is now used as the headquarters of The Birmingham Canal Navigations Society. 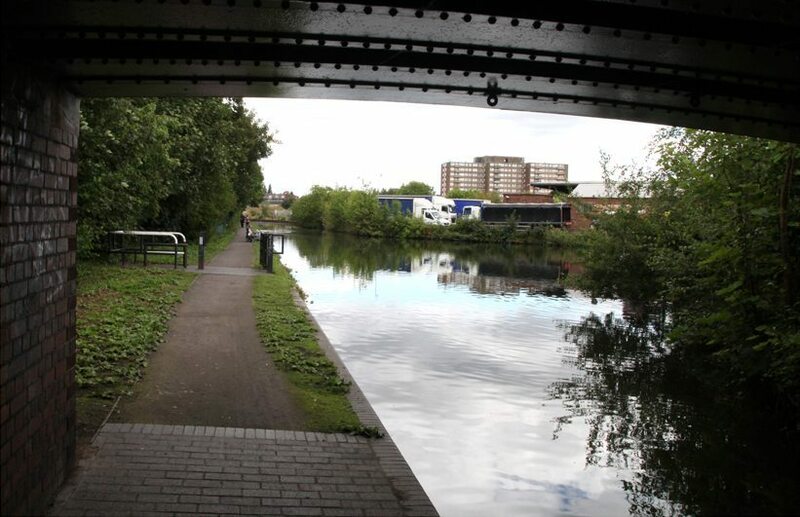 Whimsey Bridge, a name given when the canals were first cut, late in the 18th century, was once a hive of activity with canal barges delivering raw materials from the factories and brickyards. 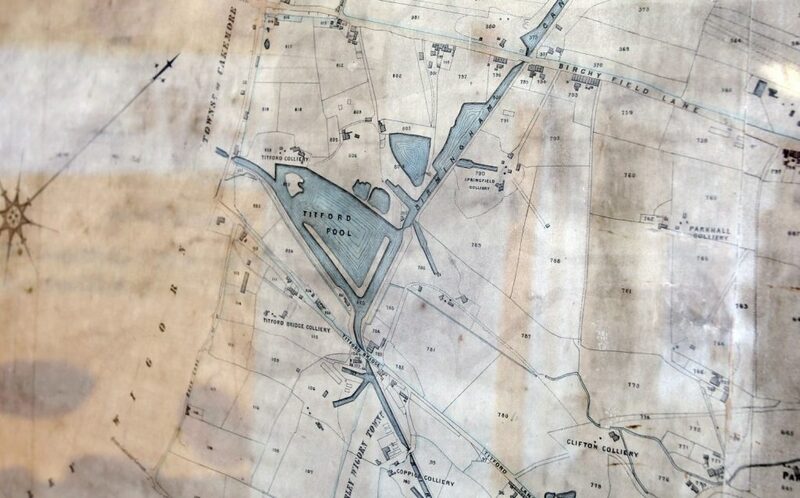 Rainfall from the Rowley Hills fed water into the pool, which then was culverted to feed Rotten Park Reservoir. 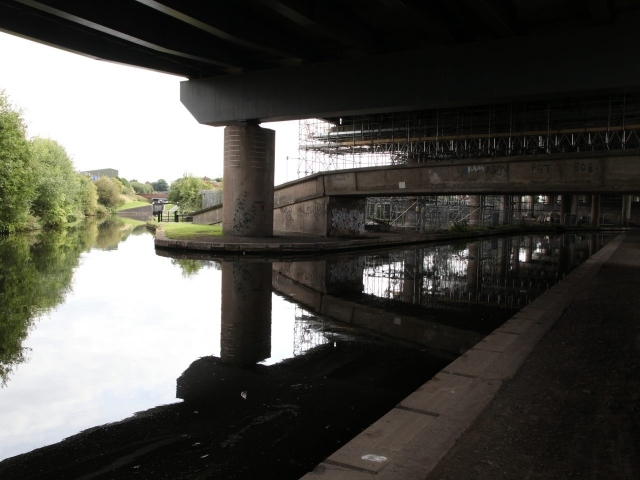 A haven for wildlife, the pools are partly covered by an elevated section of the motorway.